For the Uptons, from Plymouth, having a wheelchair accessible vehicle that’s spacious enough for their large family is really important. When the time came for them to renew their vehicle they found just what they were looking for in the Peugeot Spirit™, from Allied Mobility. 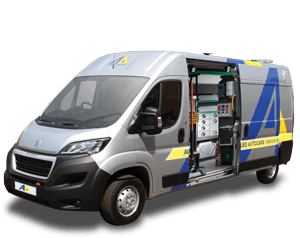 Based on the Peugeot Boxer, Spirit™ provides loads of storage space and can easily take up to seven people, including two wheelchair passengers, which is exactly what the Upton family was looking for. Mum, Mary, describes how the family looked around before settling on the Spirit™. 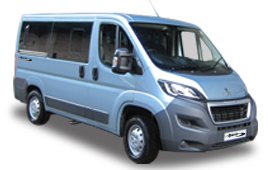 “We approached a few suppliers but Allied Mobility really impressed us with their helpful and professional staff. We knew we needed loads of space but weren’t sure what vehicle would be the best one to go for. Spirit™ comes with an electric lift built in to make getting wheelchairs and scooters in and out of the car a breeze. Mary and her husband, Steve, haven’t had any issues operating it. The Upton’s Spirit™ is regularly used for the school run and shopping and Mary loves that they can now take trips together instead of taking two cars. The Uptons can’t fault the service they’ve received from Allied Mobility – from the home demonstration from local mobility advisor, John – to the swift delivery of their vehicle. Mary explains: “Everyone we’ve dealt with has been really knowledgeable and helpful. We’ve had lots going on, so John agreed to meet us at the kids’ school to demonstrate the car after classes had ended, at a time that suited us all the best. That was a great help. “When we asked about having an extra seat added to our Spirit, there was no problem. Once we placed our order, we were excited to hear that our car was ready much earlier than we expected and it was delivered really quickly. 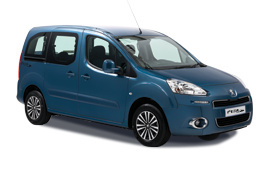 Peugeot Spirit™ wheelchair accessible vehicles are available to buy, rent or through the Motability Scheme. 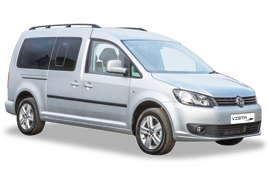 For more information on this vehicle or any of Allied Mobility’s range of wheelchair accessible cars and MPVs, simply call FREE on the number at the top of this page, email info@alliedmobility.com or click wheelchair accessible vehicles here. Enquire OnlineUse the form below to let us know what you’re looking for and one of our mobility advisers will call you back. We’d love to send you occasional email updates including news, events and special offers from Allied Mobility, Mobility Solutions and Allied Autocare. We don’t want to bother you if this isn’t of interest so please tick the box below if you DON’T want to receive our e-updates.